Looking for a quality marketing opportunity? Our customized air release vinyl adhesive stickers are sure to make an impression. 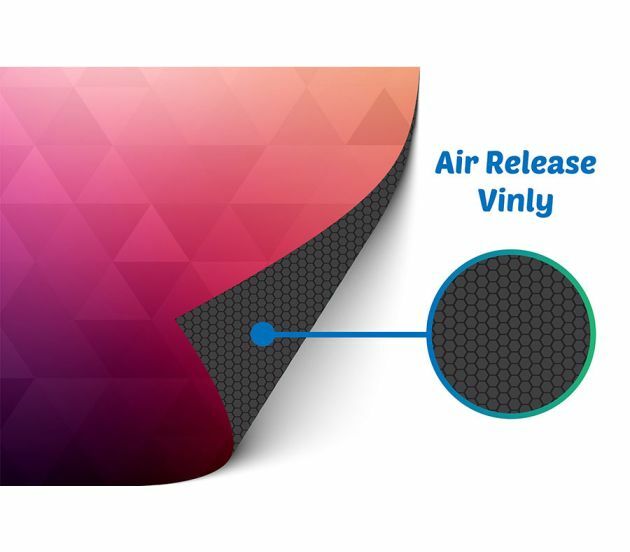 Adhesive vinyl is ideal for long-term applications on flat surfaces, and this workable vinyl makes installation a breeze. Once the vinyl is applied, it cannot be removed, unless by great abuse or professional means, ensuring a long-lasting application that you can count on for years to come.